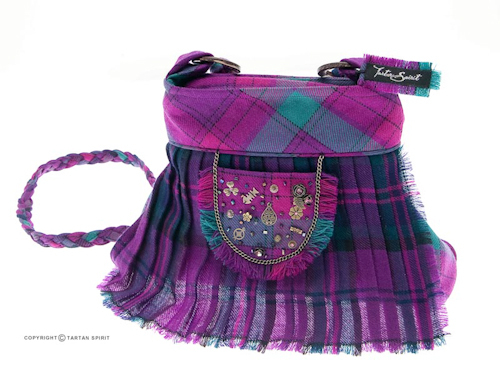 The smaller version and one of our best sellers is this fantastic tartan Kiltie Bag! Taking inspiration from the Scottish kilt, this bag features delicate pleating along the front, with a mini ‘sporran’ to give the illusion of a kilt. 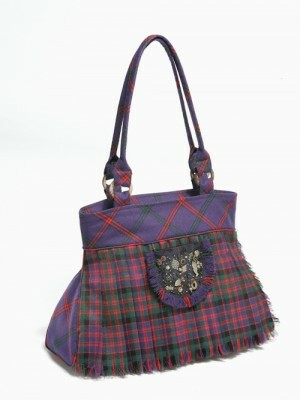 The Kiltie bag is without a doubt the contemporary Scottish handbag. Made using the finest wool tartan, the Kiltie bag features pockets inside and a mini pocket in it’s sporran on the outside so it has plenty of room for everything you need! 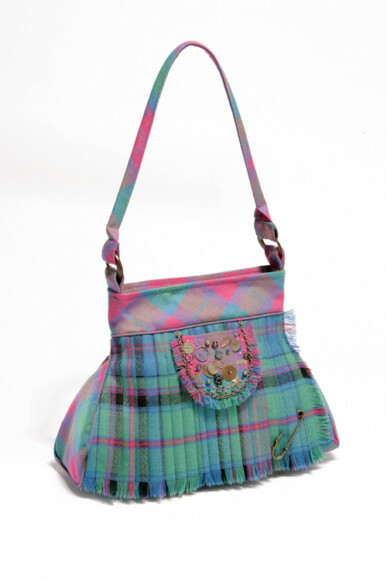 Our Kiltie Bag is available in a wide range of tartan colourways put together to compliment each other. Bags are made to order so please allow up to 28 days for delivery.